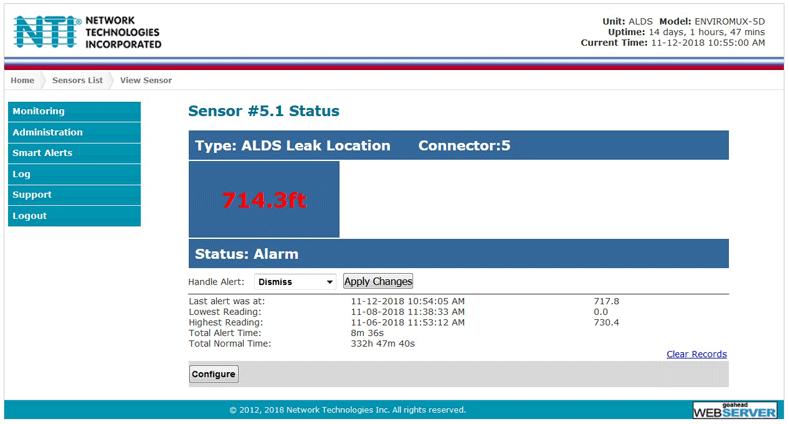 Monitors up to 4,000 feet of E-LDDC-x Liquid Location Detection Sensor Cable. Detects the specific location of liquid presence. 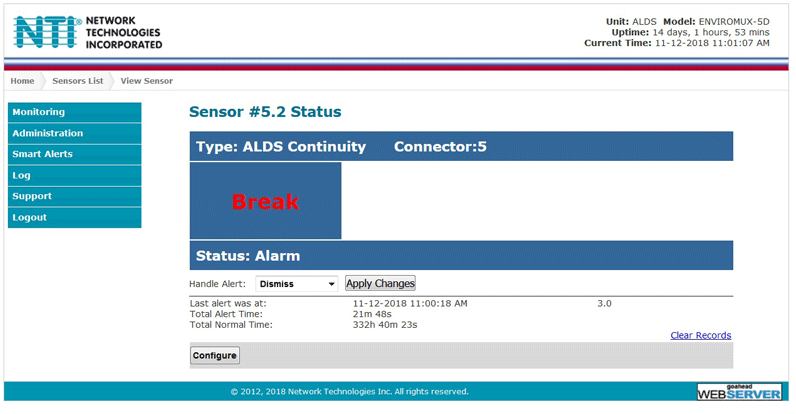 If multiple leaks are occurring at the same time, you will receive notification of the location for the leak closest to E-ALDS. Once that leak is cleared, you will receive notification of the next leak closest to the E-ALDS. This will continue until all leaks are cleared. Detects if there is a break in the cable. Supports up to 1,000 feet of E-4WNSC-x non-sensing cable. 20 to 1,500 feet: ±(1ft + 0.5% of sensing cable length). 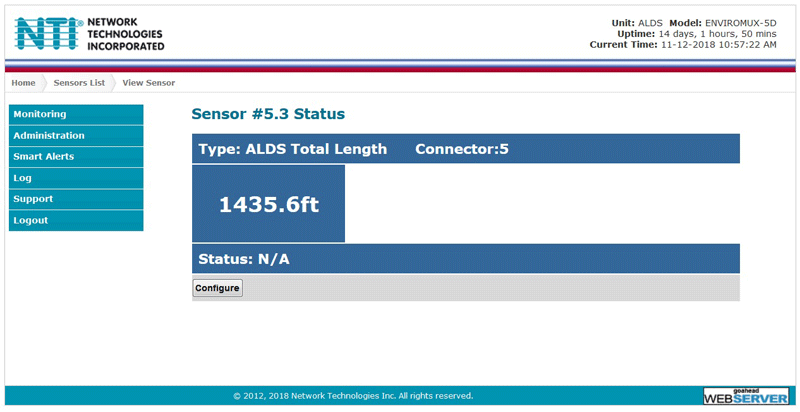 1,500 to 4,000 feet: ±1% of sensing cable length. 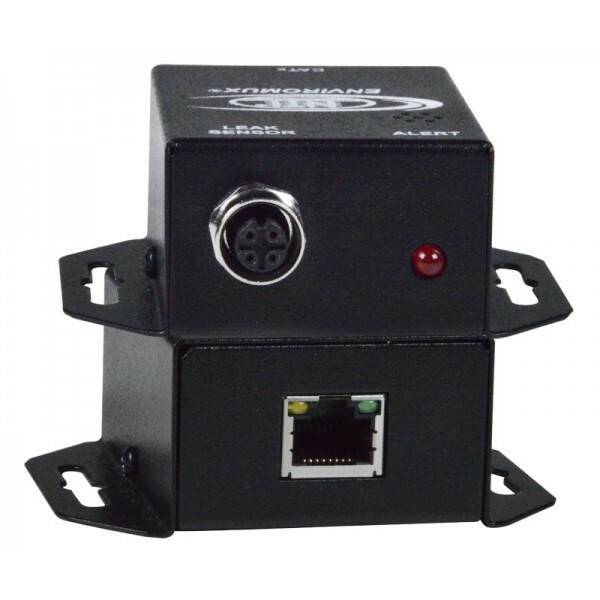 Built-in Piezo buzzer emits loud beeps to alert personnel. Integrated mounting brackets for easy surface/wall mounting. If the terminator is not used, the system will register a cable break. The E-LDx-y Liquid Detection Sensor Rope has a non-conductive polymer mesh covering two sensing wires that lie between the polymer carriers. Fluid has to penetrate the non-conductive mesh in order to close the circuit, which triggers an alert that is reported to the E-MINI-LXO. The non-conductive polymer mesh prevents artificial bridges between the sensing wires and false alarms caused by dirt/dust buildup, metal contact or pressure on the rope. Since the mesh covers only the two sensing cables and not the entire rope, the rope dries quickly after being in contact with fluids, minimizing delays between normalcy.